Full open zipper for easy pick-and-place items,easy to carry and store. Bright green bag and striking cross symbol makes the kit easy to find in an emergency case. 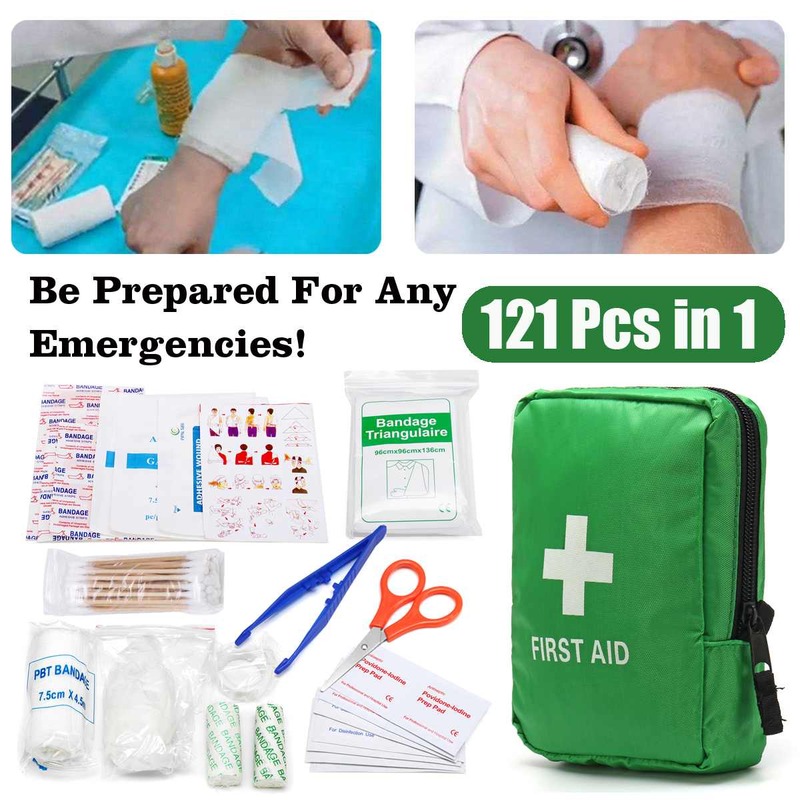 Perfect for camping, hiking, travelling, outdoor sports, family and unexpected emergency.